The Amazing World Book Day have another great YA giveaway this month. Get Involved Here. 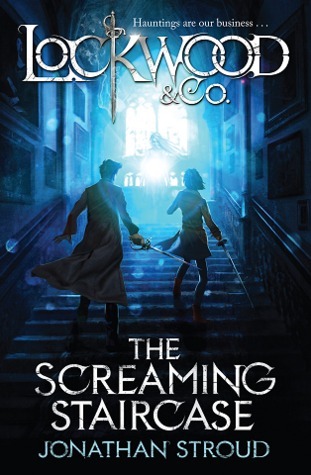 FIVE advance copies of Lockwood & Co: The Screaming Staircase to be won! What a week! I have been recovering from a Bank Holiday Hen Party Extravaganza so it’s been a slow reading week for me. Looking forward to my friend’s wedding this weekend though! Therefore I am apologising in advance for lack of updates. But Happy Wednesday Everyone. I did manage to finish one book and I have no idea how to review it! Up Next: I’m under instructions from my friend Dora to re-read The Mortal Instruments before we go and see the film. I couldn’t decide if I liked it the first time round and gave up after book 2. But I’d like to be able to compare them with it fresh in my mind. Author lipsyyPosted on August 28, 2013 Categories WWW WednesdaysTags ARCs, Currently Reading, Frost Hollow Hall, Hemlock Grove, The Mortal Instruments, Werewolves11 Comments on WWW Wednesday! Colin Bateman is a legend. He has a huge amount of books in his back catalogue and the Mystery Man books are my absolute favourite. The first time I read this, I remember being on the tube and finding myself in fits of laughter and getting some very funny looks from the other passengers. I think The Bookseller With No Name is possibly one of the best fictional characters I have read (big statement – I know!). If you’ve ever seen Black Books, imagine Bernard Black trying to solve a mystery…That! 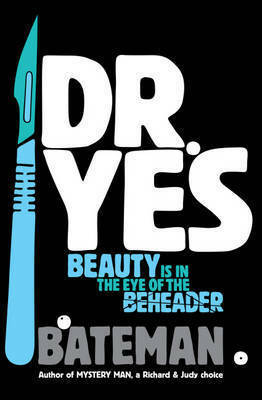 Blurb: A superbly gripping and blackly funny mystery by the king of the comic crime caper. 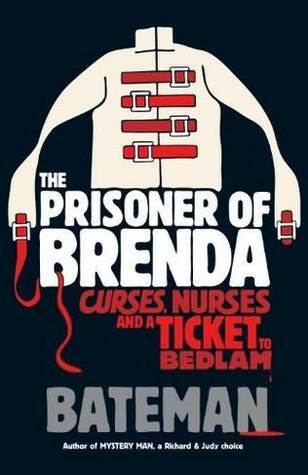 Many of Bateman’s characters are hilariously inept yet tenacious but Mystery Man is so perfect with his Irish wit and eccentricities. He’s a complete eejit, but you have to love him. He gets himself into the most ridiculous situations, and does some awful things, but y’know, his heart’s in the right place. Colin Bateman was a journalist in Northern Ireland before becoming a full-time writer. His first novel, DIVORCING JACK, won the Betty Trask Prize, and all his novels have been critically acclaimed. His book Murphy’s Law was adapted for the BBC television series Murphy’s Law (2001–2007), featuring James Nesbitt. This post has also reminded me that this should be arriving sometime soon- completely funded by Kickstarter. Colin Bateman’s first collection of short fiction and drama. 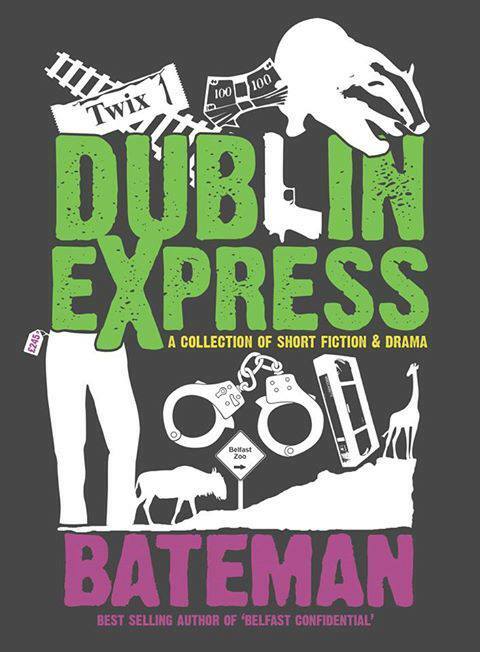 Dublin Express is a collection of five rare short stories from one of Ireland’s most acclaimed novelists, together with the complete script of his hugely successful first play, National Anthem. 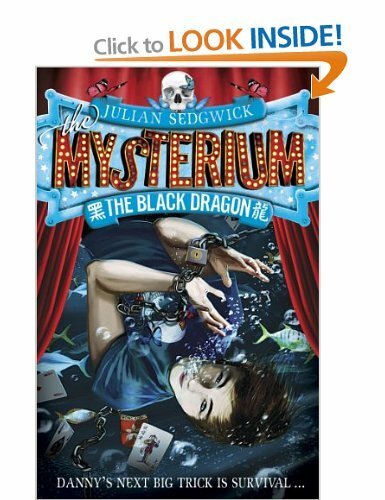 East meets West; past meets present; criminal minds meet skilled artists – welcome to the Mysterium, a circus with dark and thrilling secrets at its heart. Twelve-year-old Danny Woo is half-Chinese, half-British. His parents are performers in the Mysterium. Following their death in a mysterious fire, Danny is sent to live with his aunt Laura, an investigative journalist. When Danny’s school is closed after an explosion, he joins Laura on a trip to Hong Kong. She is researching the Triad gangs; he is trying to understand more about his cultural background. But Laura disappears, and Danny is plunged into a dangerous quest to find her – which opens the door on the past he could never have imagined, and which leads him to question everything he has ever known about his past. I felt the same way about The Black Dragon on the whole as I felt about its protagonist, Danny. I liked him enough, and thought he was funny enough, but he just didn’t give me enough to keep me interested. I felt like his past was more interesting than his present which probably isn’t a good thing. Danny grew up in a travelling Circus, The Mysterium, where his Dad was an escapologist and his mum a high wire acrobat. Prior to the events in The Black Dragon Danny’s dad dies in an under-water trick that he’d performed hundred times over, and shortly after their trailer is set on fire and his mum is killed too. Under the care of his aunt Laura, Danny is just settling into a more traditional life and trying to get through the boredom of high school when an explosion goes off and Laura whisks him away to Hong Kong. It’s not long before Laura is kidnapped leaving Danny and Zamora, an Italian Dwarf – a friend from The Mysterium days – to find Laura and find out how all of these things are connected. As fun as this was, the whole way through I just wanted it to be about The Mysterium and didn’t really care about finding Laura. By the looks of it, the next book in the series might do just that, so I’ll definitely check it out when the time comes. I enjoyed the characters here, especially Zamora, and the fast pace of the adventure was welcome but it didn’t have enough strings to its bow to really hook me. I do feel like this could improve in later books though. Is it a keeper? Although I will check out the next book I’ve already added this to My Swapping List. If you liked this try: Charlie’s Monsters by Dean Lorey. Similar in style…swap magic for monsters and viola! Currently Reading: Hemlock Grove by Brian McGreevy According to Goodreads it’s an exhilarating reinvention of the gothic novel, inspired by the iconic characters of our greatest myths and nightmares, according to my friend Di, it is so terrible I will love it. This was a fun read but it didn’t have a lot to it. 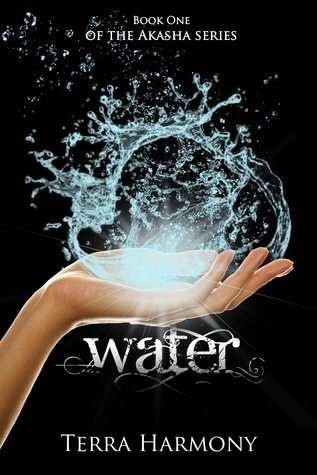 I also finished Water By Terra Harmony which gave me a lot of ranting material even though I liked it a lot. My Review is here. Up Next: I kinda just want to read The Selection and The Elite again. Send help! Author lipsyyPosted on August 21, 2013 August 23, 2013 Categories Uncategorized, WWW WednesdaysTags Circus, Currently Reading, Fantasy, Hemlock Grove, The Akasha Series, The Mysterium, The Selection, Werewolves, WWW Wednesday, YA19 Comments on WWW Wednesday! Top Ten Tuesday is an original feature/weekly meme created by The Broke and the Bookish (Click the image to visit them). This week the theme is Top Ten things that make your life as a reader or blogger easier. 1. Goodreads I basically just want to answer Goodreads to all 10 of these, because Goodreads is King and I’m sure I don’t need to explain why. 2. ReaditSwapit I love being part of this site. It’s really easy to use and I’ve never had any trouble, as in not getting a book in return. It’s a great way to get rid of unwanted books and get ones you do want in return. 3. One Hour Lunch Breaks Having a 9-5 job does have some perks, and I LOVE getting in an hour of reading half-way through my day. 4. Fellow Bloggers You guys keep me entertained, informed and inspired. 5. Amazon I kinda hate to say it but Amazon makes it easier and cheaper for me to buy books. It definitely has a lot to do with how many books I have on my TBR pile at any given time. 6. Lazy Weekend Mornings Book in Bed time at the weekends is bliss for me, and when I get most of my reading done. 7. Long Tube/Train Journeys Similarly, when Book in Bed time is impossible, travelling is always a good excuse to spend time reading. I can never understand people who spend time travelling or commuting staring into space and looking bored. What a waste of time. I carry a book with me pretty much everywhere because you never know when you’re going to be left hanging around. I hate wasting time, life is short, yeah. 8. Charity Shops and people who donate books to them I love second-hand books and finding bargain books in charity shops not only saves me money, but is totally satisfying. 9. Friends Similar to other Book Bloggers, my book-loving friends make reading easier by way of recommendations and borrowing. They also make it a whole lot of fun. I’m looking at you, Di and Doreen! 10. GOOD BOOKS Pretty obvious I guess, but the sheer amount of amazing books out there make my life better, and definitely make Book Blogging easier. Good work to all involved. . I wish I could have added my local library to this list as I’d love to support it. But the fact is, my local library is pretty rubbish which upsets me a lot.